Whether your urinary issue interferes with your daily activities or requires immediate attention, Upstate has the expertise to accurately diagnose your concern and develop a plan to address it through therapy or medical, or surgical intervention. 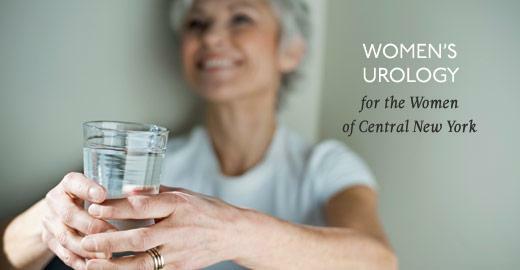 Urological care for women is important at every phase of life. Many problems that occur can be uncomfortable and can get in the way of normal daily activities. Infections, incontinence (leaking urine) and overactive bladder can occur at any age. At Upstate University Hospital, there are providers available who can help with the treatment of women’s common urinary challenges. Whether it is testing or procedures, treatment or surgery, the services you need will be available. If therapy is not appropriate or does not work, then we will recommend the most minimally invasive treatment for those who need it. Last Modified: May 9, 2017. Contact LisaMarie Vigliotti-Bane with questions about the content of this page.